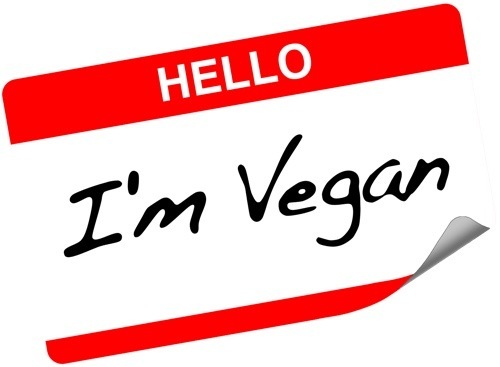 Since assuming a vegan lifestyle and an ethical stance against animal cruelty, I’ve heard a couple of stories from friends about the strict labelling that comes with being vegan. By that I mean the term “vegan” seems to attract some sort of expectation of behaviour that is not applied to any non-vegans. I heard the second story tonight and it seemed directed at me, and it made me angry…thus this slight rant. In the two stories I’ve heard, one couple were self-enforcing the vegan label so vigorously that they would call out anyone who didn’t strictly adhere to veganism and would feel it a personal failure to step outside that realm themselves. In the story I heard tonight, it came from the other side of the coin; a non-vegan who was ready to challenge my use of the “vegan” term as I have indicated that I intend on living a 90-95% vegan lifestyle because I don’t want to become one of those people who make life difficult for others because of the lifestyle I am adhering to. Also because I want to be realistic. I probably didn’t make that clear to the second friend when I started a vegan lifestyle because — I imagine like most born-again-vegans — we make a sudden thrust into the vegan world for either moral/ethical, health, environmental or animal rights reasons (or some or all of the above) and so we immediately gravitate strongly to the “vegan” label. To be fair, it’s initially empowering to call ourselves that, to clearly differentiate ourselves from the animal-murdering masses. On a daily basis, I will refuse to consume dairy, meat, fish, or things containing these items. If at a friend’s home, I will shift to vegetarian eating if that is all that is available and let them know I eat vegan for future reference. I eat eggs that I know are from cruelty-free sources, like friends’ chooks or a certified humane farm. I am very strict about the living conditions for the chickens. I actively support animal rights through charitable donation, researching and sharing information, plus joining activist rallies like Ban Live Export. I am adamant about protecting the environment by fighting for a reduction of factory farming and changing agriculture practices. However, I respect the traditional hunting practices of people who live far in the bush or like the Inuit people who take only what they need to personally survive and who ritualistically cleanse the animal when they kill it, respecting the life they are taking. I actively take care in knowing which companies do animal testing on their products and then boycott that product if they are animal abusers. With all these things, I aim for a 90-95% success rate as I believe that we have to be realistic: while I want animal suffering to cease, I recognise that a vast reduction would be considered a “win”. We cannot change this world 100%…it is impossible. And perhaps we don’t need to either. For all intents and purposes, I am quite comfortable working within these boundaries and still consider myself following a vegan lifestyle. What’s more (and perhaps more importantly), I don’t care if I’m not living up to someone else’s labelling (and therefore their judgement). Another person I know heard that I was eating eggs (even with my strict policy for choosing them) and announced “so I guess you’re just a vegetarian then” as if I didn’t meet the vegan standards and was therefore stripped of my title. I must admit it makes me laugh when I hear someone judging me for attempting to live a very challenging lifestyle, one that has health and ethics at its core, but where I am perhaps not living up to the dictionary definition of it. And by “makes me laugh” I mean I want to beat them with a hypocrisy stick. There is not one single way a meat-eater can make a judgement on the effectiveness or competency of someone who is working hard at their vegan lifestyle without sounding like a complete tool. That’s why I really dislike the label; it’s too easy for people to want to score you on how you’re doing with it. I know this is sounding a bit like a rant but my wish is simply this: if you know someone trying to follow a vegan lifestyle, please support what they are doing even if it isn’t what you personally want to do in your own life. No one is judging your meat-eating ways even though the destructive nature of meat and dairy consumption gives vegans a lot of ammunition to fire at you. If you are a vegan, my hope would be that you can see that we live in an imperfect world and we need to do our best but not beat ourselves up (or others) who aren’t perfect vegans all of the time. Plus, we need to gently inform meat-eaters of why it might not be a bad idea to cut back on their consumption, for the better of the planet and the rest of us who must deal with the fact that agriculture is destroying it. In other words, no one should judge anyone else, but we should all be prepared to listen and adapt for the better of our lifestyles, needs and the world around us. Let’s not be so fussy with our labelling of each other! P.S. There is a lot of self-righteousness that comes with our choices, particularly food ones. My wish would be that everyone be open to arguments on both sides of the meat/vegan debate, concede when someone has a valid point on either side, and stop letting personal pride dictate how “right” you think you are about following what you believe. Let’s all just try to make informed decisions and then we might see that personal labels are pointless anyway. Striking a balance: what kind of vegan to be? When I was first smashed over the head with the waves of passion that prompted me to give up meat and stand up against animal cruelty, I went all-in, guns a-blazing, making sure everyone heard what I was doing, all in the vain and naive attempt to get people to “convert” right along with me. My blog was an excellent platform, I told myself, to ensure that people knew not only how I was feeling, but the depths of the atrocities that occur (in full, living, bleeding colour). Surely if I posted enough informative and eye-opening material, if would be a no-brainer to get everyone on-side with this important task of ditching their traditional habits and embrace a new, healthy and compassionate way of living. Right? Well, I pride myself on being reasonably observant and respectful of where people are at and while I was initially overly gung-ho, I’ve quickly realised that I need to take this much slower. While I am still madly passionate on this topic on the inside, I’ll have to squeeze out my information-sharing in controlled doses, letting my conviction and own experiences try to let others see how where I’m coming from can be doable to them over time if they believe it is right for them as well. Another thing I need to realise is that people are repelled to change by people who are in their face about it, pushing too hard or being “forced” to learn a new perspective, especially with a subject as touchy as food. Finally, being tolerant or where others are at and non-judgemental of their actions even if I don’t believe what they are doing is right, by my standards. So what kind of vegan do I want to be? I obviously want to be faithful to my reasons for doing it in the first place (compassion for animals, environmental concerns, and personal health); I want people close to me to understand and respect what I am doing but also be willing to be open to listening and learning and changing as well; I’d like to be proud of what I’m doing and therefore promote it in a confident but dignified and democratic way; and I’d like to be someone who goes beyond just eating differently but also volunteers or involves myself directly in the helping of rescued animals or protecting environments where animals are at risk of losing their rights or lives. This blog will continue to be my voice to show my personal progress on my journey and try to provide information that people I know will hopefully occasionally read/watch and be involved as well. I’ve struggled a lot with casting judgement on people who refuse to change their habits when they know how much damage those habits are contributing to the issue of high-production animal-based agriculture, but I am learning that traditions and habits are often hard-wired into who we are from an early age. From influential parents, peers, expectations, plus media and advertising, we are told many things that are actually false or have critical information buried from view to make us think things are different than what they are. However, I cannot condemn people who have this hard-wiring anymore than I could be angry with myself as for all my 42 years until now, as I believed the exact same things and was victim to the same propaganda. The following video that I came across recently is an excellent resource for anyone who has either flirted with the idea of going vegetarian or vegan, is curious about the idea or is starting to feel that there is something seriously wrong with our meat-eating society and wants to learn more. Intended for high school students originally, this brilliant talk eases you into the logic behind “going vegan” without being too aggressive with scary visuals. Basically the ABCs of how we’ve been conned into thinking we want and need meat. I naturally believe that this sort of video is mandatory viewing for any and everyone, but I suspect a very small number of people will take the plunge. If you are willing to have your eyes opened and allow yourself to engage in a very important message, then you will be very thankful you did….! I believe that resources like this will help people expand their vision on what being a vegan is all about without them all coming from me. There is a wealth of influential material out there that I hope to share and all I ask that you respect why I am offering it up and have a willingness to give it some consideration.